Darcy Lee Donate Me Money So I Can Buy A House VirTual ReaLity Artificial Intelligence 911: Above Top Secret Forum Posts. I have been posting on a forum called Above Top Secret. Nobody pays me much attention and I don't get many replies and my threads die pretty quickly. The following is from a Thread I created called "Trade me." So what you got to trade? I got all this. I'm looking to trade. I guess we have to play with in the rules so that means no money or actual material possessions will be traded. But we can trade other stuff like ideas and words and thoughts. I got 10 years on the line most extreme form of suffering you can imagine experienced top quality pain suffering 24/7 for 10 years. I believe in the future when thoughts are setup on a market. My suffering and pain will go for top dollars. I must be like the oldest man in the world pain wise. I am old and i'm only 35. I am an old man. I have lived 100 lives no one at all. I perhaps have a few perfections developed from suffering though I can't name them and i'm still very weak. So what do you have to trade. I reckon I can afford just about anything. Trade me your words. Ebay me some of your thoughts and ideas. What do you have to trade me? Also not only am I looking to trade but i'm looking for charity as well. I'm poor spiritually and of mind. Your charity would be appreciated which could go in the form of a post of some of your words in unique arrangement in this thread. Yay for charity. So I want to trade. A long term sufferer of the top 1%. Already from this first post you receive life I hope, it's possible. Well we must have something we can play the trading game with other than money and material possessions. I reckon there's other things to trade. Matthew 13:45 Again, the kingdom of heaven is like a merchant looking for fine pearls. So this is me seeking fine pearls. I'm a merchant and trader as we all are possibly. My words offer trade. Words aren't possibly given enough value. The truth is extremely valuable. People who know the truth have an advantage. I'm looking for a fine pearl. I don't know what it is yet. I'm hoping i'll know it when I perceive it. Spend some words in this thread in charity or trade. I have initiated the trade with my words coming first. If you post you are trading back. Your words probably have no value to me but it depends on what you write. Information can be encoded in and exchanged with words. Can you help ManKind? What do you possess that will help or improve the world that can be traded to others so you yourself profit? How can we profit each other? What resources do we have apart from money and material items to trade in, there must be other things? I guess we are all just that poor that we only have money and material items to trade in. Poor poor poor. We are trading right now as you read my words I think. Anyway I just thought that as a merchant looking for fine pearls I could trade something that I have in excess for something of value that you have in excess in return. There are no established trade protocols I mean we don't even know what we're trading in. Can you trade in LOVE between friends family strangers and even enemies? There's plenty of anger to be traded in the world. How do I lift some of your burdens through trade? I'm sure I can make your load lighter as you can mine. I can't think of anything to trade other than these words i'm writing which don't hold much value as of yet. How do you know your not talking to someone who will one day be famous thereby making these posts famous along with those who replied? Ok I propose this. Oneday I will be famous. Making this thread and any thread of mine on ATS Famous. If you post in this thread then oneday when the truth finally comes out this thread will be dragged up and depending on what you say you will be viewed possibly by alot of people. How you respond to me will be measured on a world wide scale. Yep. This is something else i'm offering in the trade. I say I will be famous in the future one day, it could be after I die but I will be famous. You need to trade with me by posting in this thread. You get the chance to operate in the dark through faith maybe this. If you fail to post in this thread yet read it and remember it then it will be counted as a missed opportunity. You really need to post something. So i'm offering a trade. Couple things. My suffering experience and that I will be famous making posts in my threads possibly famous at least to be viewed by many people. If you post in other threads they will be forgotten. My threads will remain for a lot longer. This is the trade you get for posting. All you need to do is post in this thread. Be careful what you trade. Trade me something in this thread today other than material and money. If we rule those out what do we have left possibly to trade? What is the fine pearl. So that's both posts I made to that thread. They probably took me a good hour or more maybe to write. I have added the photos just so it's not a wall of text. Really instead of posting on a forum I should be posting to this webpage. I do find some of the replies interesting and that's what keeps me coming back but most people don't believe me and write me off as schizophrenic. I managed to get banned from Godlikeproductions.com which is another forum I use so have lost the Leeda nick name from there. I got banned for begging for money. I didn't know it was a bad thing damn. 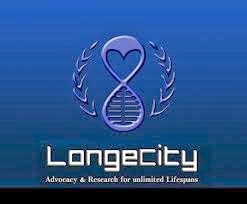 I have a thread going on longecity.org thats asking for a house so I can further the cause of longevity and immortality. I plan on spending the next 40 years typing and using my mind about no more pain, suffering and torture, comforting others and being a cheerleader for immortality and longevity. I really do need my own house to achieve some of my goals. Hell owning my own house is one of my biggest goals. It looks like without charity I will never own my own house. I am doomed to either minimum wage or living on the benefit for the rest of my life. Either way you can't really get a deposit for a house from these sources of income as the deposit needed is to great. Hopefully charity will oneday find me a worthy cause and donate me a house. We have to lift and elevate people and help them in their current positions hopefully taking them to the next or a higher level. If the planet or whole world has an output rating or life measurement then we need to lift the output or measurement. I believe every lifeform on the planet counts towards the total output. We need to lift everybody and everything. We must love our enemies and find peace perhaps where there had been none. If you intervene in someones life at the right moment you could have them living in a class above what they would of been. So this is what we need. I charge you to help people. The planet as individuals can be lifted. Everyone just needs to do a little bit more than nothing and we can win. Not even everyone needs to help but obviously the more that take the effort to help the greater the life output rating and the greater the victory. By your choices you can also live a higher life follow a higher stream. It might not take work but a choice you make can affect your life and the stream you live. Your own current class can be lifted by your own efforts. So it's also about helping yourself. Everyone grows stronger everyday. Though outwardly we are wasting away, yet inwardly we are being renewed day by day. I hope I have altered your world. This comes from me as a kid at kindergarden. I was thinking about grace and good and evil. I came up with that evil copies good and learns from good twisting what good gave to evil to it's own ends. I figured that as evil was copying good I could lead evil into captivity by getting it to copy me in a certain way. It gets a bit fuzzy but at the standard nobody does nothing rate with evil copying good then evil would match good grace point for point and eventually evil would beat good. But if good people start lifting others and themselves then good starts to get extra turns before the next cycle and more abundant grace is produced and it starts to be that for every point evil produces grace abounds even more and produces multiple points. There is a teaching from good that you get a choice. If you choose to convert it to evil you condemn yourself and there is no one to blame but your very own self. Good is the original source. All will be seen in the light.